Here’s a question from a reader. Have a question of your own? Ask it here. Can you give me advice on how to get back the Facebook likes on my site? I lost counts, likes, and shares for social networks, after updating to a new version of WordPress, and switching to HTTPS. Great question! And so timely, since many site owners are realizing the importance of HTTPS. The reason you lost your social counts is because you changed your site from HTTP to HTTPS. The new version of WordPress is blameless. 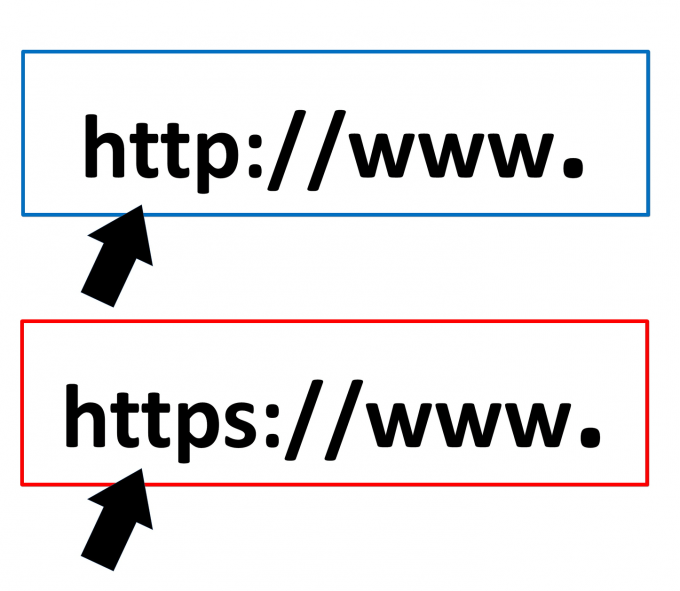 The root of the problem is that Facebook (and other social sites) consider “http://example.com” and “https://example.com” two different URLs. And all the social sites use URLs as a unique identifier for your content. So, the social sites are keeping two separate tallies for each of your pages: one with HTTP, and the other with HTTPS. My recommended solution is the premium plugin Social Warfare Pro. 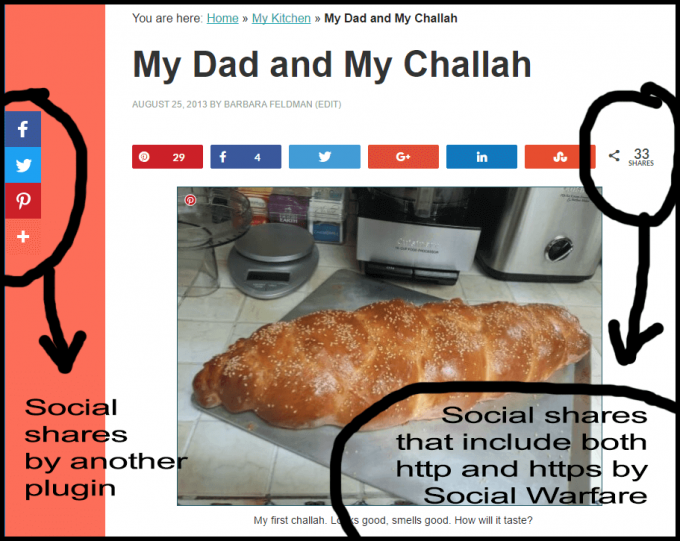 The two reasons I like Social Warfare’s approach is that it promotes your new URL (the one with HTTPS), but for display purposes it adds the shares from your old URL (HTTP) together with new shares from your new HTTPS URL to display the total number of shares. The plugin asks each social service TWICE for your counts (HTTP and HTTPS) via their respective APIs (public software interfaces). Then your counts are stored in your site’s database, so your site isn’t slowed down by excessive API calls. All the other solutions I was able to find, simply “trick” the social networks into thinking your older URLs are still HTTP. I don’t like this for a variety of reasons, including the possible negative SEO effects. Social Warfare does have a free plugin, by the way, and you will need to install it, as the premium Pro version is simply an add-on to it. The free plugin is great on its own, but it does not include Share Recovery. In addition to HTTPS share recovery, Social Warfare Pro also works to save social share counts when you change domain names (from “example.com” to “example.org”), modify your domain prefix (from “example.com” to “www.example.com”) or change your site’s permalinks. Here’s a screenshot of Social Warfare Pro’s Share Recovery configuration settings. Recover previous social share counts when you change your domain name. I think it’s likely that the social networks will eventually solve this problem on their own. Until then, there’s Social Warfare Pro. Great post and such an important topic! This is such a big issue for people and so tedious to fix. 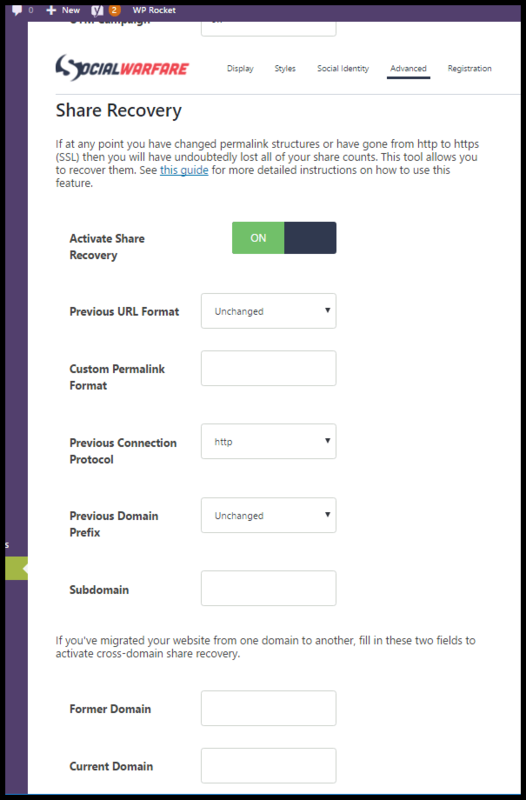 At Shareaholic, we wanted to make it 1-click easy to recover your lost Facebook share counts after you make a change to your domain or move to HTTPS (SSL) so that everyone can easily recover their share counts without needing to be technical.